They were very caring and made my mother comfortable with their presence. They were very easy to work with, were flexible, and they worked with the schedule that I needed. They help me the most by helping with cleaning. I like that they are very good at checking in to make sure everything is okay. I have been in the hospital and had surgery and they have been here everyday and have even taken me back to the hospital when needed. I like their compassion and care for me. They make sure that she is in good care. They are very personable and they communicate well. They keep me updated on the information. The agency is always there when I need them to be and make arrangements for me right away. I use this agency on an as needed basis. The people in this agency really care about their clients. I am living by myself, which I could not do if I did not have the woman coming in twice a week. I have liked the woman that comes to take care of everything for me. She has good sense and she calms me down. I don't have to be there. I live in California so they allow me to have a life in California. They could come later in the evening because I think they leave at 8 o'clock. A lot of seniors want to stay up later than that and not go to bed. They are very friendly and very nice, though. Thanks so much for your great home helpers for my dad. I truly appreciate the quick action to throw together and support me and him. I can actually leave the house and not worry that something will happen when I am gone. I think they are a very caring company. The owners put in a lot of thought into the clients, are responsive, and reliable. If they say they will do something they do it, and it works great. They give us time to regenerate. They are very easy to deal with, and we just like the service they provide. They are willing to take me wherever I need to go. They are very conducive of all my needs. They have helped the most by being thorough and getting everything done. They are close, consistent, and effective. Although I used their services only a short time, I was pleased with the services provided (cooking and cleaning) and the caring attitude of all staff I had contact with. I would recommend them without hesitation. They helped me organize and clean things. I liked the girls that came; they were very helpful. Right at Home is the real deal and they set the bar very high for their competition. It is with great pleasure that I can right this review, in hopes that it helps others that might at some point be in the position I was in trying to find home care for my mom. My mom was in Hospice in Prescott, with the desire to finish her life in the home she loved. I live in Northern California and was contacted by Hospice who told me that my mom was at a declining point in her health, and that she now needed in home care. I was not prepared for this, and began scurrying to find the best in home care provider I could find. I was given 2 referrals from people I knew in Prescott. One of the referrals I received was for “ Right at Home” in home care. I immediately went to their website and did my due diligence. I was impressed enough to call them for additional information. I gave some basic information to the phone assistant, then got a call back from the owner, Karen. She was very professional and was a wealth of knowledge. I told her of my needs and she went right out to my mom’s home; and assessed and validated the need. Karen called me back, said she and my mom were in agreement on her needs and how how much time each day the care was to be take place. I was responsible for the cost of the care, and Karen’s husband Mike helped me get the financial side set up. Since my mom needed in home care right away, Karen got right on it; had to jockey a few care givers, but had a caregiver at my mom’s home the next day. Wow! That is truly responsive service. My journey into home care had just started, and I was already at ease that I had made the right decision for my mom. But, it got even better. In my mom’s last 8 days of living, I traveled to Prescott to be with her. I stayed in her home, along with the caregivers. This is when I really found out that I had picked the best caregiver provider in greater Prescott. I saw first hand the professional service that was being provided. The caregivers were both skillful and caring. Even with different caregivers coming in on different days, everyone of them had the same strong work ethic. Then we had to go to 24/7 care for my mom. This came on quickly, and put a huge strain on Mike and Karen’s human resources. They were great, not a hesitation, just hard work with adjusting caregiver schedules to accommodate my mom’s needs. What impressed me the most was Karen’s personal willingness to fill in the gaps herself where there was a hole, on occasion, in the 24/7 care. Now that is dedication to your business and profession. I got to know some of the caregivers pretty well, since I was in the home. Everyone of them were impressive to me. So caring and understanding of my mom and the situation. With all that said, I can tell you, Right at Home is a top self company with dedicated owners and the best caregivers in the Prescott area. To say I am a satisfied customer, is a huge understatement. If you want the best caregiving for either you or a family member, don’t look past Right at Home, they are the best. Our relationship with everyone at the Prescott Right at Home has been five stars! Karen assessed my mom's needs accurately and chosen a very compatible caregiver for her. She has consistently provided kind, helpful and dependable care over the last 18 months and as their relationship has grown my mom describes Patricia as her friend. Right at home was very helpful assisting my elderly parents after my dad fell and broke his leg. Hes 96 and was taking care of my mom who has the onset of dementia. We were glad to have them assist my sister and I so we could get a break. They provided a very helpful service. Excellent company. Very caring and look out for mom's best interest. Always willing to answer questions and work with our needs. Patricia is a great caregiver. She helps me with chores both inside and outside. We go shopping and doctor's appointments. We learn from each other and we have lots of fun. The owners and staff are exceptional people. Well trained, kind, thoughtful and accommodating. They have provided housekeeping for several years and recently, home health, following a fall in July 2017 and a stroke March 2018. They go out of their way to meet my needs on short notice. Right at home Prescott provided amazing service for my father. He was able to stay right in his home with friends and family until his passing. I highly recommend this Prescott service. Karen was always willing to work with our schedule no matter how crazy it seemed. Her employees were all professional in their manner and skill. I would highly recommend Right at Home to anyone in need of home care for a loved one. They were very awesome; all of the caregivers. The owners were the best. We were so lucky to choose them for my mother's care and passing. The Valenza's and their staff have always provided outstanding care and concern for my 98-year old mother. They have been able to fill time slots when our main caregiver needs time off. They check regularly on the quality of service provided and every provider has been pleasant and caring and considerate of our home life. We used Right at Home this summer when we were away. They were on time, reliable, and kind hearted people, but today I suspended the service because I have returned, and when I am here, we don’t need it. They were very accommodating and understanding about that. I am kind of a client in suspension. I will use them again over the winter, but not regularly, so they were very good about that. We had a list of things that we wanted them to do while they came, and they did them all; it was great. I am very satisfied given the experiences I’ve had with others. These folks are doing their best, and it is coming through. My elderly mother did the payment. It seemed that they took online payment, and the bills that she received in the mail were very clear and concise, so you understood what was going on. I spoke to the owner today to suspend the service. He is a CPA and knows exactly what was going on in the account; that does not always happen. My family used Right at Home for approximately the last year for my mother who had Alzheimer’s and was 91. Mike and Karen, the owners are wonderful to work with. Mike came out and met my mom and I personally. He introduced us to potential caregivers so that we would feel comfortable with those spending time and caring for my mom. This was really important because my mom was in AZ and the rest of the family was in CA. In a situation like this, you really need to have trust in the people and the organization. Mike was always available and very flexible when the situation called for it. His rates are fair and he treats the caregivers with respect. 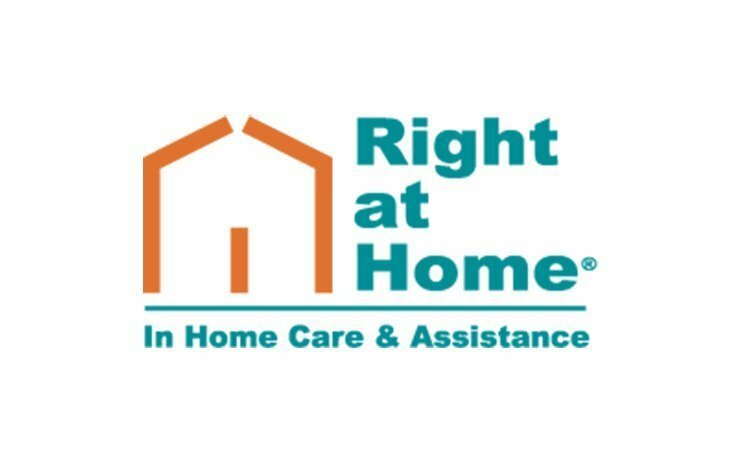 I would highly recommend Right at Home for anyone who need in home care for a loved one. My mother was matched with the perfect person. She liked her very much and I was more at peace knowing my mother was in good hands. Also, I liked how the caregivers had to check in on the clients home phone as well as the standards of the agency and how it was run. I am very pleased with the service that's been provided. The girls are thoughtful, cheerful and courteous. They're willing to do whatever is needed. I enjoy having them come in to my home and prepare delicious meals, do my laundry and keep the house in good shape. They have provided a better quality of life. Wonderful business. Very happy with the service they provide. I live in Texas - my Aunt lives in Prescott, AZ so finding the right care provider for her was the ultimate challenge and extremely important to me. I interview 3 agencies and selected Right at Home - Karen, Mike and Jill made the decision easy. They are so caring and made me feel so comfortable with the decision to bring in a care giver. We started with a few days a week progressing to several hours twice daily seven days a week. They work hard to match up the care givers with my Aunt - and they are all so sweet with her. I can't say enough good things about my experience with Right at Home Prescott! They have a take a huge risk for my Aunt, long-distance worry for me and reduced it to a much more manageable situation. They are the best in my book! I am pleased to have the opportunity to recommend your services without reservation. Our relationship of almost a year was beyond satisfaction. Karen exemplified the best characteristics of a caring caregiver in both household management and healthcare. Her presence and work ethic gave me confidence that whatever task she was asked to perform would be completed without further direction. Her commitment to caring was self evident from the first week of employment. Right at Home was the perfect solution to our situation with our mother. It was a pleasure dealing with everyone. We were always confident of the great care our mother received. Right at Home was pleasure to work with and we will definitely miss them at our new location. Thank you for being so wonderful to us! I have been concerned about my mother living alone for some time. I live out of state. A friend had heard good things about Karen. I called her and knew that her "Right at Home service" was perfect for my mother. The service is truly outstanding! The girls truly care, and they have changed my mother's life. She is happier and more comfortable than she has been in a long time. This has been such a blessing for all of us! Even though my husband died the day we were going to use Right at Home's services, Karen was enormously kind and helpful in making the arrangements. She was ready to do all that was necessary for him. She later arranged for a cleaner to help me with house work before the funeral. I would strongly recommend this company! My husband is at home right now, but we are having Right At Home for his care. They come in everyday day seven days a week. We are now using them for about six weeks now. We have two caregivers in a week and they have been fabulous and very compassionate. I love them very much. Every Right at Home caregiver goes through an extensive interview process, including background checks. Once hired, caregivers are trained through Right at Home University to ensure that they’re able to deliver the care set out in your loved one's Custom Care Plan. Before providing care, they’re bonded and insured. What should caregivers and potential clients know about Right at Home Prescott?